At The Gateway and Gateway Gardens we offer Residential Living and Assisted Living. We have answered some frequently asked questions for each of our living options and services on this page. What are the exterior building hours? Our exterior building is locked for the comfort of our residents from 10pm – 6 am. If you have visitors outside of these hours please make appropriate arrangements with the front desk. What is senior residential living? 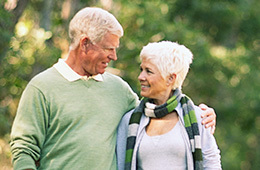 Senior residential living is a community designed for those over 62 that desire care-free living and social engagement. Pricing options and availability can be obtained from our marketing office. Call or visit us today to learn more! Yes, residents may reserve the activities lounge for any special event with notice. Please contact the front office if you would like to reserve this space or for more information. Each apartment has a full kitchen and is equipped with full- sized kitchen appliances. Pets are permitted to visit, and we have specific areas for pets. Please make sure pet vaccination records are up to date and that the pet is leashed and under the control of its owner at all times. If you would like a pet friendly apartment, please contact the leasing office for options. Do I get an assigned parking spot? All covered parking spots are assigned and all new residents go on a waiting list until a covered spot becomes available. All open spots are available for residents and their guests. Do you have a beauty salon or barbershop? At The Gateway and Gateway Gardens we have a both a beauty salon and barbershop on-site that offer a variety of services. Wi-Fi Internet is provided in select areas for all residents and their guests. Please contact a local provider for private Wi-Fi. Is there a telephone in each apartment? Each apartment is equipped with telephone hookups. If you would like telephone service we can help you set it up through the phone company. We provide a private area with public telephones for use by our residents. Residents are welcome to bring their own mobile device. Is there access to cable television? We offer access to basic cable television for all residents in their apartment homes. Apartments are not furnished with televisions. We believe events and activities enrich our residents’ lives and have a powerful impact on one’s overall health and well-being. We create a fun, uplifting environment where our residents can be social, get involved, and enjoy their favorite hobbies and activities. We pass out a monthly calendar to inform each resident of upcoming activities, and copies of this calendar can be obtained at the front desk. Click here to view our online activities calendar. For the safety and health of our residents and staff, The Gateway and Gateway Gardens are a smoke-free community. We do, however, have designated smoking areas outdoors. Please ask the front desk for the location of the designated, outdoor smoking area. Who do I talk to about questions in regard to financials, billing, and/or application paperwork? At The Gateway we have a full-time business office manager. Our business office manager will answer any questions you may have regarding financial or billing concerns. To make an appointment with our business office manager, please contact the front desk. Assisted living is housing for those 62 and over that provides assistance with activities of daily living. We offer housekeeping, laundry, and various other services to help each resident attain their highest level of independence. We provide weekly housekeeping. Our friendly and professional staff cleans each apartment once a week. If alternative measures must be taken, please contact our front office. Pricing options and availability can be found in our leasing office. Call or visit us today to learn more! Can family or friends bring pets when visiting? While our community does not allow pets to live in the apartments, pets are always welcome to visit. We ask that each pet have their current shots, be kept on a leash, and under the control of their owner when in public areas. You may reserve the activities lounge for any special event with notice. Contact the front office if you would like to reserve this space. Is there a beauty or barbershop on site? Wi-Fi Internet is provided in specific areas for all residents and their guests. If you would like private Wi-Fi, please contact the local provider. We offer access to basic cable television for all residents in their apartment home. Apartments are not furnished with televisions. Do the apartments come with full kitchens? For your convenience, each assisted living apartment home has a kitchenette. Is there a dining option? We have open dining from 7:30 am to 8:00 pm. The dining room is served restaurant style with choice menus and servers to take your order. Our chef works to create flavorful and nutritious food, and we also accommodate special dietary needs for residents with a physician’s order. We believe events and activities enrich our resident’s lives and have a powerful impact on one’s overall well-being. We create a fun, uplifting environment where our residents can be social, get involved, and enjoy their favorite hobbies and activities. For the safety and health of our residents and staff, The Gateway and Gateway Gardens are smoke-free communities. We do, however, have designated smoking areas outdoors. Please ask the front desk for the location of the designated, outdoor smoking area. How long is a respite stay? Gateway Gardens offers respite stays from 7 days to 30 days. Will my loved one be involved in the activities in your community? If so, what type of activities? All activities we offer at Gateway Gardens will be available to you. Activities such as bingo, exercise class, Rummikub, Skip bo, Tea Parties, Blackjack, Wii, Bridge, Uno, Movies, crafts, art class and trivia are among our daily activities. How will you know what services my loved one needs during their stay? Prior to staying with us, a Physician’s Report is required for your stay. This seven page document completed by the primary physician gives us a jumping off point on knowing what daily needs must be met. In addition, as assessment will be done by our Assisted Living Director to find out each specific task that requires assistance. Will their insurance cover a respite stay? Some insurances will cover part or all of your stay. Please contact your insurance company prior to your stay in order to find out what your policy will/ may cover. Who can I contact to learn more about respite stays? Please contact our Marketing office at 858-487-1197 to find out more about scheduling your Respite stay with us! The Gateway and Gateway Gardens is part of Retirement Housing Foundation, a national, non-profit organization.